This post was written by a former colleague, whom I can’t thank enough for sharing this very personal, heartbreaking essay. It touches on some of my deepest fears as a mother, so I appreciate the hard honesty of this piece. I will quietly bear witness to your brokenness, my friend, and I will hope. It felt like a punch in the gut. That was the reaction of a friend on finding out that our daughter has Anorexia. This is a close and dear friend who admittedly has struggled with weight issues, so I took a breath and smiled. But this, dear friend, is why you do NOT wish you had this disorder. 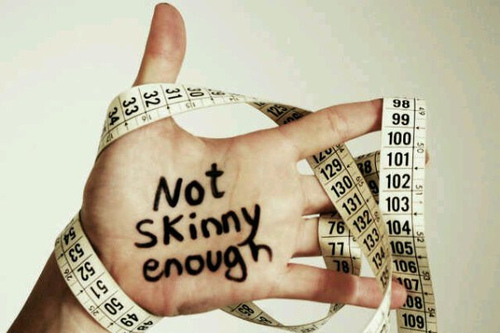 Anorexia kills. It kills a lot. It is, in fact, the deadliest mental disorder in existence. Overall it increases the likelihood of death by nearly six fold, more than Schizophrenia, more than Bipolar Disorder. My daughter was diagnosed when she was 16 so she’s even more at risk. According to Web MD, that makes her 10 times more likely to die early than the general population. The most likely cause: Suicide. She has the trifecta of bad: Depression, anxiety disorder, and an eating disorder. Imagine a world where you are so anxious you have panic attacks, where you are depressed out of your mind because you are so anxious, and where voices scream in your head. That’s the world of my daughter. Every day we fight a battle for her soul.